Richard Reichelsdorfer is a member of the Society of Accredited Marine Surveyors as a Survey Associate and a ABYC-certified marine technician offering surveys of all yachts and small craft. 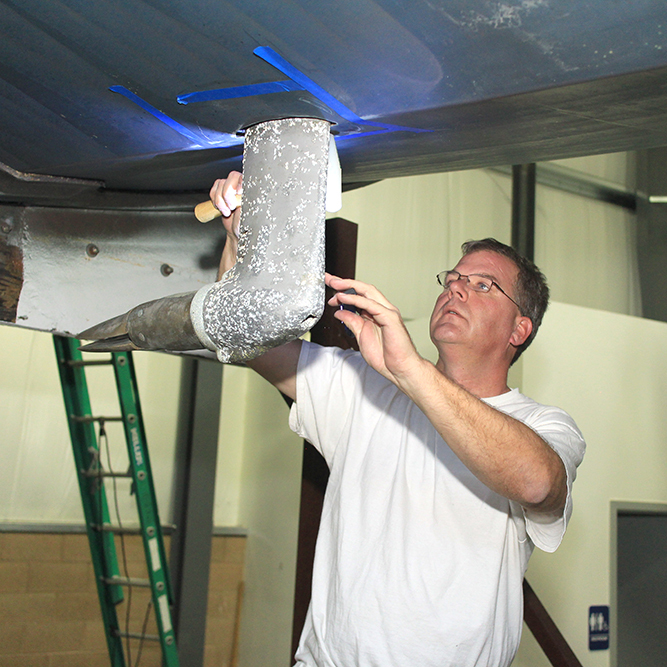 Each pre-purchase survey includes a meticulous inspection of a boat's structural integrity and all systems. A complete survey report is produced with detailed findings and recommendations along with a appraisal of the fair market value. Other kinds of surveys including insurance, appraisal and damage surveys are available. For more on these, see our FAQ page. Marine Pro Service can help you choose the best survey for your needs. Marine Pro Service offers yacht and small craft surveying in the upper Midwest and western Great Lakes region. Mileage to locations within 50 miles of the Port Washington, Wisconsin, area is included in the survey price. Other locations may require an additional mileage fee. We also travel anywhere in the U.S. for surveys. Travel fees are negotiated individually.